Play free hidden object games online at Wellgames! Looking for a site to play hidden object games free? Congratulations! You have found it. Try our flash hide-and-seek games with unique concept. 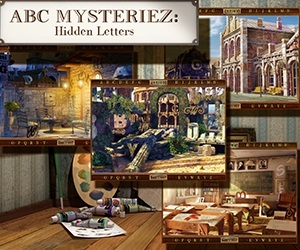 Discover numerous locations and find the concealed to pass these splendid puzzle games. Play hidden object games online and receive bonus score for every win in multiplayer mode. Download hide-and seek games free and enjoy them offline whenever you are bored. 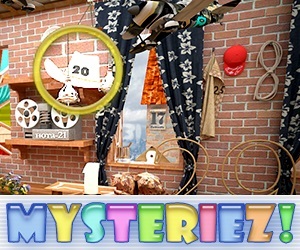 Apply all your attention or ask for help playing our hidden objects games. You think it would be easy? Try it just now! The concept of this free hidden object game is straightforward. 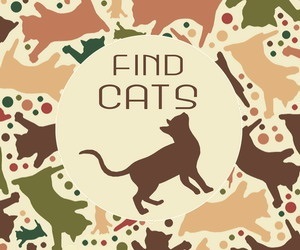 Find as many cats as you can within a minute as you play online. It's one of the first HTML5 games on our site, which you can also play free on mobile. Play Time Gap hidden object game free online to solve the greatest puzzle in human history and enjoy Bubble Shooter and Match 3 mini-games. Download free mobile version for deeper experience. WellGames.com is right place to play free online games! Our untiring creative team does its best to update our multiplayer flash games collection with new fun games of different genres. Here you can find dozens of fun and challenging puzzles, arcade games, card and board games, shooters, match 3 games, jigsaw puzzles and much more. And, of course, don't miss out top web-game Bubble Shooter. All our free flash games are available in at least four languages and and will bring you hours of addicting gameplay. All the fun free games you can play online on our portal are family-friendly. Most of them also prove good learning games for kids that help them develop their Math and spelling skills and improve creative thinking. Large variety of flash puzzles, including mosaic and word games, mahjong and other matching games will make WellGames.com their favorite web-site. The main feature of almost all our titles is that they are multiplayer games. Become a member of our gaming community, join online competitions and even create your own levels! Let's make fun free games to play online together! Our team also tends to bring its flash multiplayer games to mobile. Visit WellGames.com as you browse on your iOS or Android device and make sure that we always provide you with free games to play online!